Find the ultimate getaway at these isolated resorts. Thoughts of getting as far away from it all as possible don’t have to vie with your desire to pamper yourself in a sumptuous resort. You can travel to the ends of the earth and enjoy secluded resorts ready to deliver soothing body treatments, fresh local cuisine and lush surroundings as well as a springboard for adventure. Click through to see the most breathtaking remote getaways around the world. If you’re looking for luxury and remoteness, plan a vacation to this Canadian destination. Fogo Island Inn is the welcome haven at the end of a long day of flying that can take anywhere from five to 16 hours. The sweet reward is visiting the island during one of its seven seasons, each with its own distinct ambiance and activities. Watch for whales in spring, delve into the excitement of traditional cod fishery during trap berth season or stroll fields of wildflowers during summer. Early autumn brings a plethora of edible berries before succumbing to temperamental storms and seasons of ice and snow ideal for cozying up by a fire, reading, writing and reflecting. Plus, you can enjoy various amenities, including a sauna and hot tub with panoramic views, suites crafted from all-natural materials and stunning vistas throughout. Resort at Paws Up — Greenough, Mont. Tucked on a 37,000-acre working cattle ranch, the Resort at Paws Up offers luxury cabins, sprawling mountain vacation homes and luxury glamping tents. Cattle aren’t the only creatures that call the ranch home, though. Look for buffalo, horses and more than 300 wild elk that roam the Montana range just outside your door. And, it’s one of the best pet-friendly resorts. Take a hike, go fly fishing or challenge the Grizzlyman Fitness Trail filled with log challenges that include swinging, climbing and balancing. Enjoy traditional dude ranch activities like horseback rides, cattle drives and chuck wagon dinners. Or, you can glide downriver in a canoe or roar down the trail in an ATV. There’s even a spa for unwinding after the day’s activities. You just might never want to leave Big Sky Country. Watch the sunset over Uluru, also known as Ayers Rock, at Longitude 131°, which sits astride a red dune. In the morning, wake up to views of the famous rock through the floor-to-ceiling glass at the end of your bed. Spend the day relaxing beneath the experienced hands of bodyworkers at Spa Kinara, who combine local ingredients like Australian yellow clay with herbals used in traditional bush medicine. An extensive menu of luxury experiences open exclusively to hotel guests let you experience the outback like few people can. Enjoy the company of a private guide and as many — or few — other guests as you wish. Dunton Hot Springs — Dolores, Colo.
Tucked deep in the San Juan National Forest more than an hour’s drive from Telluride, Colo., along a dirt road, Dunton Hot Springs at first seems like a town time forgot. But the getaway is anything but primitive. Treat yourself to a hot river rock massage, and finish up with a mountain glow body scrub at the spa — or head out for an adventure in nature. Peak-bag some of Colorado’s famous 14ers, or ride a gentle horse along an alpine meadow trail. Soak in mineral-rich hot springs in half-a-dozen picturesque spots around town, including a 19th-century bathhouse or outside under a starry sky. Need some more rest and relaxation? Perhaps take a trip to one of these relaxing spa retreats. Tucked along the Salar de Uyuni, the largest salt surface in the world, Hotel Palacio de Sal is made entirely from salt. Here, you’ll experience one of the most unique hotels in the world. Sleep in a room where the bed frames, walls and domed ceiling are made from salt, which is credited for enhancing mental and physical well-being. Then, borrow a bike and head out on the flats or gaze at them as you relax on the sun terrace. Visit during the dry season from April through December to photograph dramatic cracks in the foreground of a dazzling blue sky. Or, gaze at reflections of the sky in the thin layer of water that covers the flats during the wet season from December through mid-April. The isolated resort is far from any restaurants but its own, so plan to pay an extra $21 per person for dinner. Get away to natural hot springs tucked on the side of the majestic Rincon de la Vieja volcano in Costa Rica at the affordably priced Blue River Resort and Hot Springs. Tucked in dense rainforest in northwestern Costa Rica, the away-from-it-all resort rolls out tumbling waterfalls, whitewater rivers and plenty of lush, tropical scenery. Mountain ranges dotted with small village and a national park are the nearest neighbors. Feel like you’ve stepped into a Jurassic Park movie at the remote resort’s animatronic dinosaur park, or take a stroll in botanical gardens and butterfly gardens. Set out for adventure on a hike, zip line or hit the white water on a tube or raft. Relax in a mud bath and sauna, or head to the spa for a soothing body treatment. If you imagine yourself on a secluded tropical island with soft sand between your toes and colorful fishes playing just offshore, this remote resort makes for an ideal getaway. The away-from-it-all ambiance continues with a stay in just one of eight luxury villas tucked among coconut palms on a 64-acre peninsula. During your stay, enjoy a bevy of complimentary adventures. Snorkel the Rainbow Reef, or enjoy a scuba dive along the Great White Wall. Borrow a kayak or SUP and go for a paddle or visit a remote village. The only way to reach the aptly named resort is by taking a one-hour flight from Nadi and a boat ride from Savusavu or Taveuni. 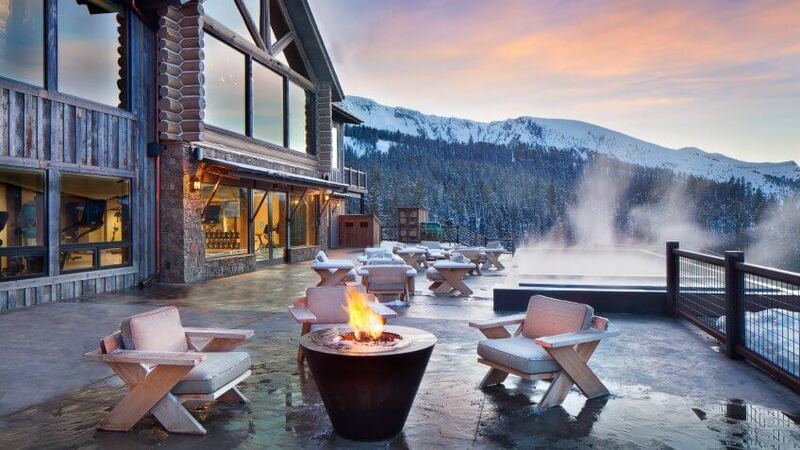 Fly into the Alaskan backcountry for a luxury isolated resort experience. Start your day with a complimentary yoga class, and head off for guided adventure kayaking on Winterlake, fishing for Arctic grayling or hiking the Iditarod Trail. Schedule a massage or other spa services, soak in the hot tub and take part in an afternoon stretching or cooking class. Head to the lodge bar for wine tasting and dinner. Afterwards, enjoy an evening education program about Alaska, or hone your fly-casting skills at the lake. If you want to experience more of Alaska, visit one of these can’t-miss destinations. It doesn’t get more “away from it all” than Easter Island. The island’s nearest neighbor is Pitcairn Island, nearly 1,200 miles away, and you’ll spend more than four hours flying over the ocean from Santiago, Chile. When you arrive at the mysterious island, marvel over the more than 400 centuries-old stone statues and explore the ancient stone village of Orongo. Embark on 20 different guided explorations from your Explora Resort, located nearly 5 miles away from the island’s only town, Hanga Roa. Ranging from biking to hiking and snorkeling, each experience has a maximum of eight participants with varied difficulty levels designed for amateurs to experts. Then, pamper yourself at the spa, relax in the Jacuzzi or just drink in the ocean view from your luxe room or suite. Don’t let the word “camp” fool you. You’ll be surrounded by luxurious furnishings in spacious tents tucked beneath large, shady trees at the Mombo Trails Camp. The camp overlooks a grassy floodplain that attracts wildlife species such as elephants, buffalo and lions that you can observe as you dine, work out or enjoy a massage. Go on game drives in open 4×4 Land Rovers and see animals up close. You can also visit a nearby “hide” where you can observe and photograph animals and birds from a concealed location. Back at camp, take a dip in the pool and listen to tales of the preserve’s history around a communal campfire. The camp tucks in the heart of the African continent in northern Botswana. Located in the Moremi Game Reserve on Chief’s Island in the Okavango Delta, Mombo Camp is 68 miles by air from the nearest town, Maun. Rates are based on the year-round average you can expect to pay at each resort, according to rate information sourced through the resort’s website or reservations agent. All pricing is subject to change. Save a few bucks while hitting these hot spots. GOBankingRates > Saving Money > Travel > How Much Does It Cost to Stay at the Most Isolated Resorts in the World?